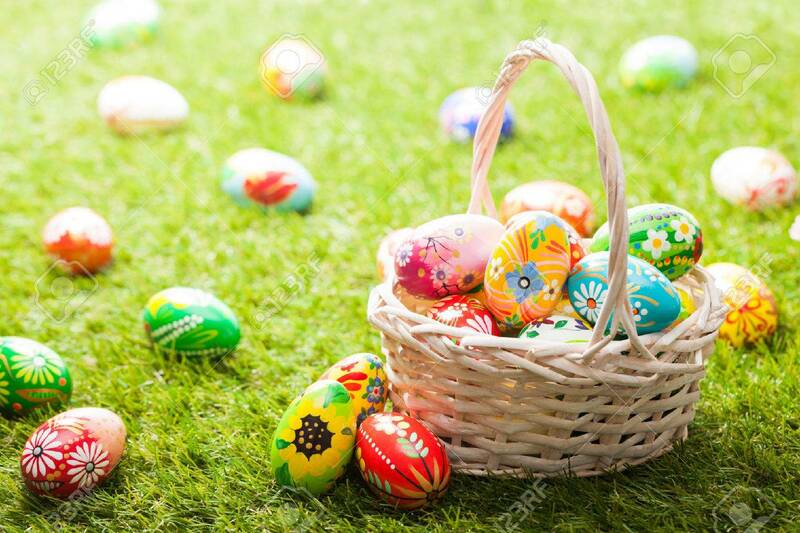 Unique Hand Painted Easter Eggs In Basket On Grass. Traditional.. Stock Photo, Picture And Royalty Free Image. Image 52511614.